If you are looking for a premium sport utility vehicle with plenty of room for the whole family and at a great price, Land Rover Colorado Springs has the perfect vehicle for you! Check out this beautiful pre-owned 2017 Range Rover Evoque SE that has recently been retired from our service loaner program. With just under 2,340 miles on the odometer, this stunning Land Rover has been driven a little and you get to save a lot! The 2.0L 245HP turbocharged four-cylinder engine is both powerful and efficient earning an estimated 21 MPG in the city and 29 MPG on the highway. Enjoy an extensive suite of standard and premium options including the Cold Climate Convenience Package (adds convenient heated features for the coming winter months), Premium Park Assist Package, alloy wheels, 12-way electric leather front bucket seats, Sirius XM Satellite radio, emergency communication system, convenient traction control and much more! 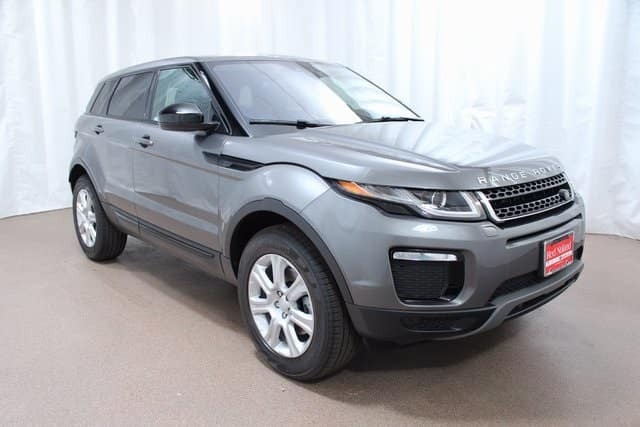 This premium Range Rover Evoque SE can be yours for only $40,989. That’s over $10,000 below retail price! Stop in to Land Rover Colorado Springs for your test drive today!